Trace — an imprint, a vestige, a trail. Silence shrouds the trauma of sexual assault in conflict. Whatever the circumstance or setting, this personal violation remains a tragically under-reported violent crime. The initial silencing, by force or intimidation, continues in the aftermath to become an enveloping disquiet for the survivor. 5,000 cords, knotted according to the principles of the Inka khipu system of accounting and storytelling, are the vestiges of trauma — emerging here, rising up to be counted. They are a reckoning of the violence no longer concealed under the carpet of public convenience. They are survivance. “And [tonight] we have our very own red carpet, in the form of one of these very moving art installations. 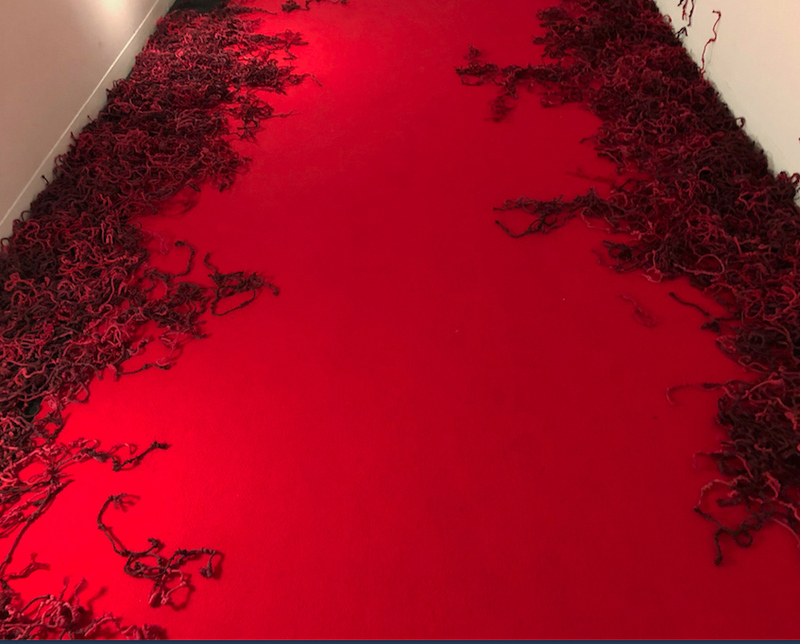 Instead of carrying the stars of Hollywood, this red carpet is designed to make us think about the victims of sexual violence who are swept out of sight. 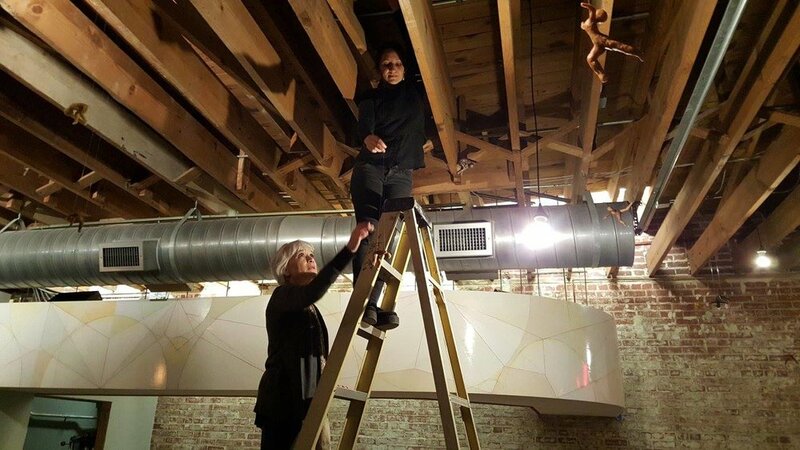 Fifteen daughters of Lucy, AL 288-1, emerging from the beeswax - and free falling up. Inspired by “first woman”, commonly called Lucy. The local people at the archaeological dig in Ethiopia referred to the her as Dinkinesh, which in Amharic means “you are marvelous”. Beeswax, plus cocoa, cinnamon, nutmeg, ginger, turmeric, and paprika for pigments. Cocoa Cinnamon in Durham, NC.